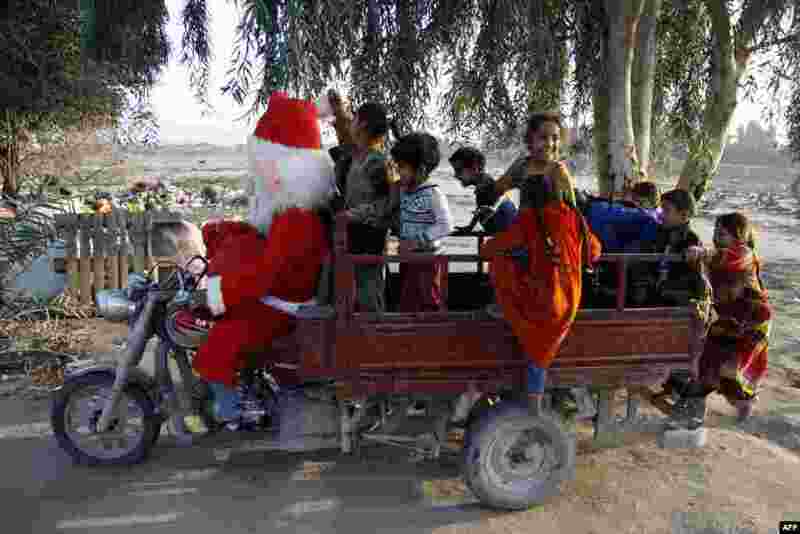 1 A man dressed in a Santa Claus outfit takes children on a ride in a tuktuk on the outskirts of the Iraqi central city of Najaf. 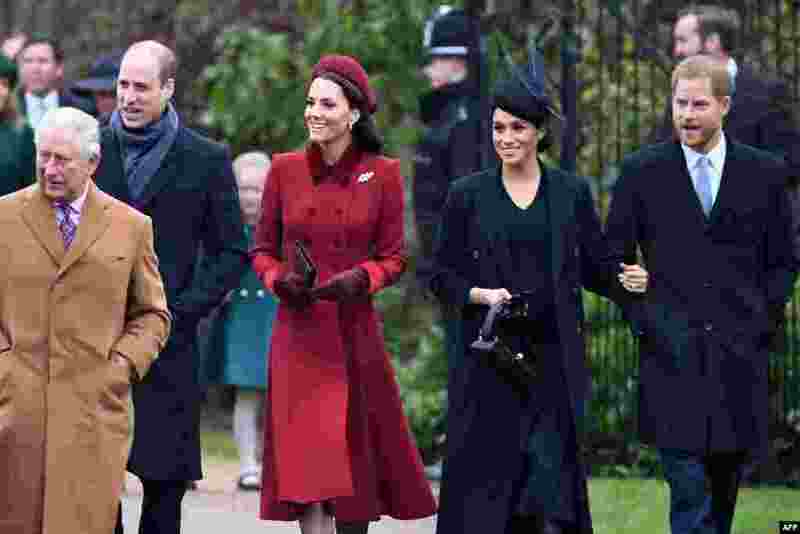 2 (L-R) Britain's Prince Charles, Prince of Wales, Britain's Prince William, Duke of Cambridge, Britain's Catherine, Duchess of Cambridge, Meghan, Duchess of Sussex and Britain's Prince Harry, Duke of Sussex, arrive for the Royal Family's traditional Christmas Day service at St. Mary Magdalene Church in Sandringham, Norfolk, eastern England. 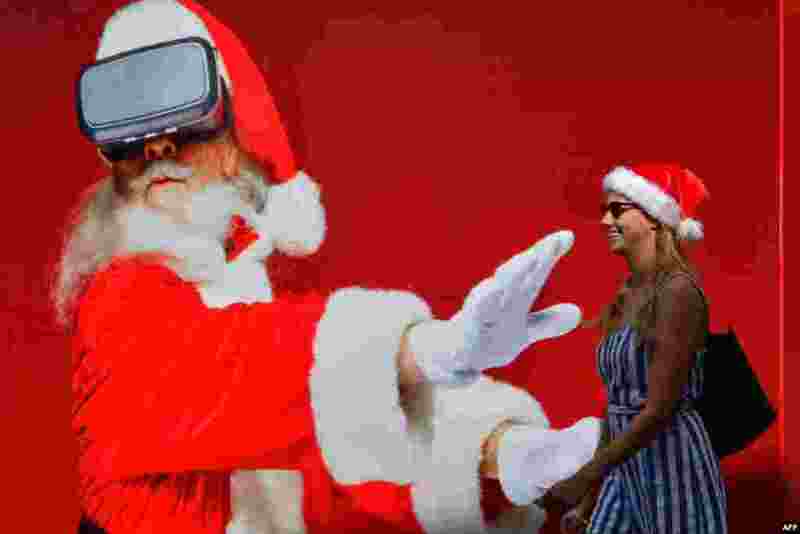 3 A woman walks past a giant Santa Claus poster at Jumeirah Beach Residence in Dubai, United Arab Emirates. 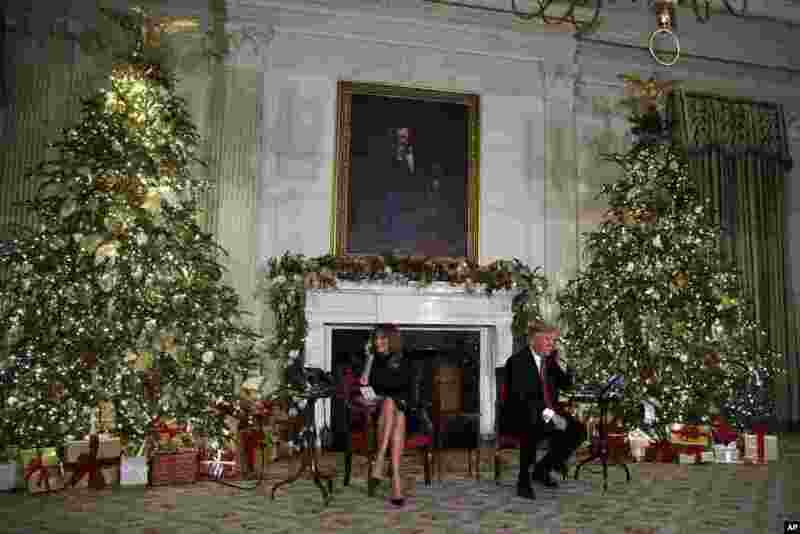 4 President Donald Trump and first lady Melania Trump speak on the phone at the White House, sharing updates to track Santa's movements from the North American Aerospace Defense Command (NORAD) Santa Tracker on Christmas Eve, Dec. 24, 2018.